Warden Barrot: Do you think a person knows when he's going mad? Or do you think it's blissful ignorance? 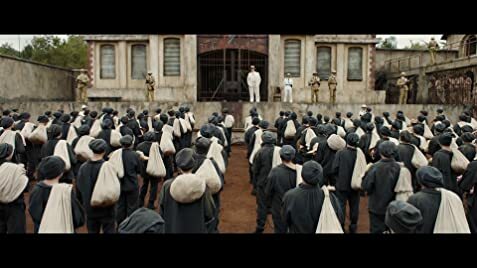 "Papillon" is based on a true story of a French thief who becomes friends with one of his fellow prison mates, and together they plan an escape. It is the remake of the 1973 movie of the same name. Hunnam, who plays the main protagonist, gives a brilliant performance. He is an intelligent actor who has given his own original touch to the role. He plays the role with a lot of realism and intensity. 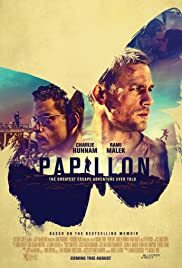 The surprise package of "Papillon" is Rami Malek, who plays Hunnam's friend. He has given an outstanding performance that challenges the one originally done by the great Dustin Hoffman. The direction is effective and the original atmosphere of the 1973 flick has been captured well enough. 129 of 199 people found this review helpful. Was this review helpful to you?